Look what just arrived, and in perfect time for all those veggies your about to harvest! 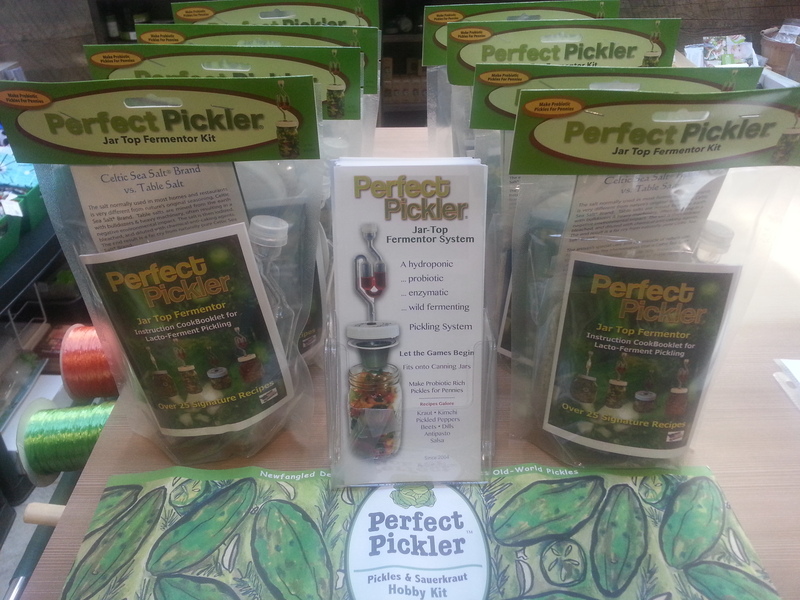 The Perfect Pickler Jar Top Fermentor! Fits onto canning jars and helps you make perfect probiotic pickles, (say that 10 times fast!) Kraut, Kimichi, Pickled Peppers, Beets, Salsa & more! The kit comes with everything you need, including Celtic Sea Salt and instruction booklet. What are you waiting for? Let’s get pickling!!! Greens, Greens, & More Greens! Love this kit! Do you have any in stock currently? Thanks! A Zacha Love this kit! Do you have any in stock currently? So sorry! We are currently out of stock.